connect. Mindfulness helps to develop its full potential; to become more aware. and entertained. Our minds are seldom still. This can affect our health, causing unhappiness, chronic pain, disease, obesity, addiction, depression and so on, as well as reactionary, rather than meaningful relationships. Mindfulness puts us back in touch with our preciousness and our ability to be well and engaged in a fearless, meaningful life. Mindfulness requires practice, just like learning to play the piano. We do a little each day, being truly present with our minds and bodies. Then we are able to open to the limitless possibilities available to us. Heather's psoriasis was triggered for the first time when she was 17 years. It was a traumatic time and after years investigating cures through Western Medicine and countless alternative health modalities Heather tuned in to the experience itself and the suffering decreased. Psoriasis Healing from the Inside Out describes this journey and includes helpful information about psoriasis as well as stress release and mindfulness strategies. When your father or mother dies it is hard to believe that you can go on with your life, but I found out that you can. It was all because of a support group for teens where I met others who had lost someone they love. Our group leader, Angel, helped us to heal. She listened and taught us to listen to each other (and ourselves) in a special way. We started to feel better and get on with our lives. By introducing you to my friends at Khululeka I think you can learn a lot that will help you to heal from your grief. I hope so! Heather Ferris is a writer, counsellor, and trainer who specializes in supporting people affected by death and trauma. She has led many youth bereavement groups over the last 20 years. In Southern Africa she works with communities affected by HIV/AIDS and in Canada she teaches counselling (Grief and Culture and Diversity) at City University. Corianna Heise is a photographer from Canada, who resides in South Africa. She works in a variety of photographic mediums including travel, portraiture, fine art and promotional photography, with publications in leading magazines. Corianna is a volunteer for the Drakenstein Hospice and works weekly with HIV/AIDS patients doing arts and crafts. 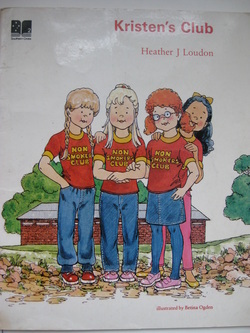 I am not alone was written as a book for younger children. It describes one child's experience losing his mother. It can be used with a child who is grieving to stimulate conversation or to bring up the expression of feelings. Once we feel the feelings, we are encouraged to open fully to them so they can be released, and then over time we will start to experience healing. The I am not alone workbook encourages drawing as a method to engage with the grief. They draw their family before and after the loss. They draw others who have a similar experience and people who support them. They draw memories of their loved one and look to the future. Big-headed Hector is a bully who intimidates other children. Heidi Mahoni stands up to him as a peace maker and shows how to develop inner strength and resolve. "You can make a difference! Kristen's Club describes the creative way in which a group of girls dealt with smoking and peer pressure. The book was published by Macmillan Australia. 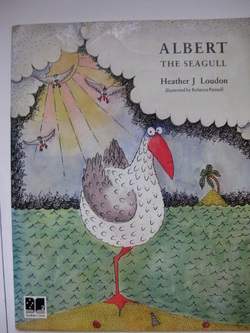 The author is Heather Ferris( previously Loudon). It is currently out of print.